Buick is the luxury vehicle marque of GM and began its history as the Buick Auto-Vim and Power Company in 1899, which was an internal combustion motor and automotive maker and incorporated in 1903 as Buick Motor Company in Detroit. After its founding Buick's first production model was the two cylinder Model B in 1904. It was only four years after the incorporation of the company that Buick first released a true four cylinder engine vehicle called the Model D. Shortly afterwards Buck became a division of General Motors although the company was allowed enough autonomy to develop its own aesthetic and brand-identity. By the start of the 1920s Buick models regularly featured V6 engines with disc brakes which made Buick far ahead of its time in terms of performance and engineering. Continuing the trend towards ever greater power, Buick began to make V8 standard on its cars throughout the 1930s as well as pioneering the use of the rear flashing turn-signal. On the heels of these developments Buick launched the iconic Roadmaster in 1936 which would become one of the marques most influential models and provide the foundations upon which Buick would build the rest of its line-up for the next twenty years. As with most heavy industries, WWII put the brakes on Buick's productivity but shortly afterwards the company roared back to life, introducing the company's first automatic Dynaflow transmission in 1948. The storied Skylark was introduced as a V8-powered convertible and a 12V electric system in the 50s. The late 1950s also witnessed the rebranding of the Skylark as the Electra and the debut of the LeSabre, developments which ensured the brand's relevance for decades to come. Crisis again struck Buick which had always been devoted to production of large, land cruising vehicles during the oil crisis of the 1970s. In its scramble to adapt to the demand for smaller, more fuel efficient cars Buick made significant gains and succeeded in winning its best year of sales in 1977. Total US sales of the brand peaked in 1984, with a wide selection ranging from compacts to large sedans. Buick's performance car of the 80s was the Regal Grand National, a coupe with a turbo V6--one of the fastest factory models of the decade. After the mid-1980s sales began to slump for Buick as competition from foreign brands such as Buick, Acura and Lexus ate up the market share once dominated by Buick. The company's first SUV, the Rendezvous, was released in 2001 to critical acclaim and help to bolster sales and confidence in the marque but only temporarily. By 2005, GM was considering the elimination of the Buick brand but, being the eternal come-back-kid, Buick once more rebounded with the fusion LaCrosse and through a planned consolidation of their existing line-up. As a result, the Lucerne was conceived of as a replacement for the Buick LeSabre and the Park Avenue as well as introducing the Enclave in 2007 just in time for the economic crisis of 2008. Today, Buick is a strong but small brand which has weathered the Great Depression, World War II, the oil crisis and the recession of 2008 and is poised to retake its place amongst the upper echelons of the automotive world. Whether you are looking to upgrade your interior, protect the delicate finish of your exterior or increase the performance of your car, truck or SUV we carry a tremendous selection of accessories to give you the results you have been looking for at the right prices. We understand that when you purchase an Acura accessory for your car or SUV you're not making just any purchase--you're making a statement about who you are and how you want the world to see you. 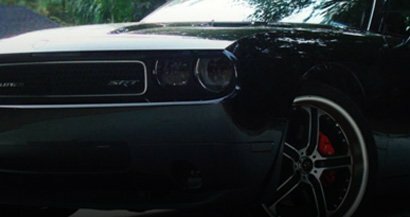 Customizing cars has been a passion of our since we started back in 2003 and we are proud to be able to share it with customers like you every single day. Whether youâ€™re looking to upgrade an older car or tune a new one we want to be the people you come to first for the best-priced and most innovative products on the market.